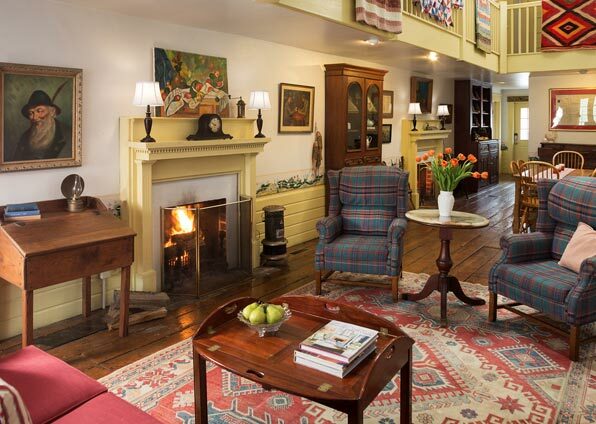 The Inner Banks Inn is a wonderful place to host your next North Carolina corporate retreat as well as the perfect lodging option for your business travel to Edenton. From creating a small intimate meeting to a large, full day meeting with breakfast, lunch and dinner, to a multi-day corporate offsite, our inn’s award-winning chefs and event staff will leave you amazed. Your corporate retreat will stand out as one of the most memorable, productive and team centric business decisions you will ever make! 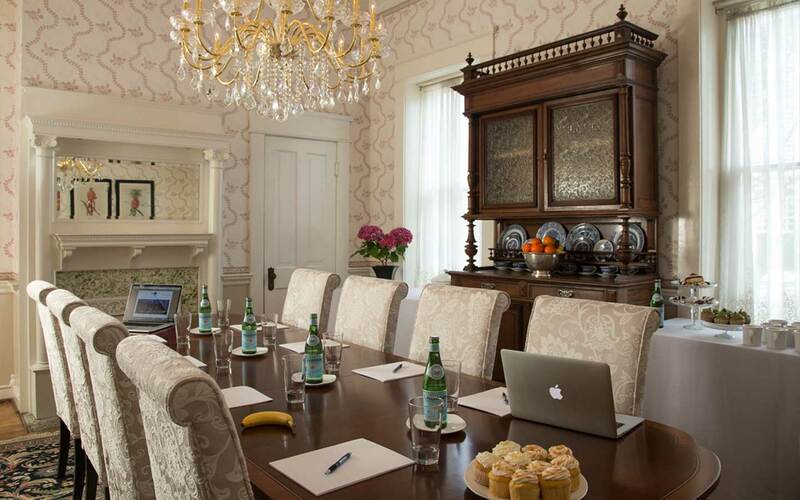 Guests can choose between our Satterfield House Conference Room equipped with easel, markers, white board, and overhead projector, the more formal Parlor at The Lords Proprietor’s or the casual Pack House Gathering Room with fireplaces for more intimate discussions; each perfect for executive retreats. 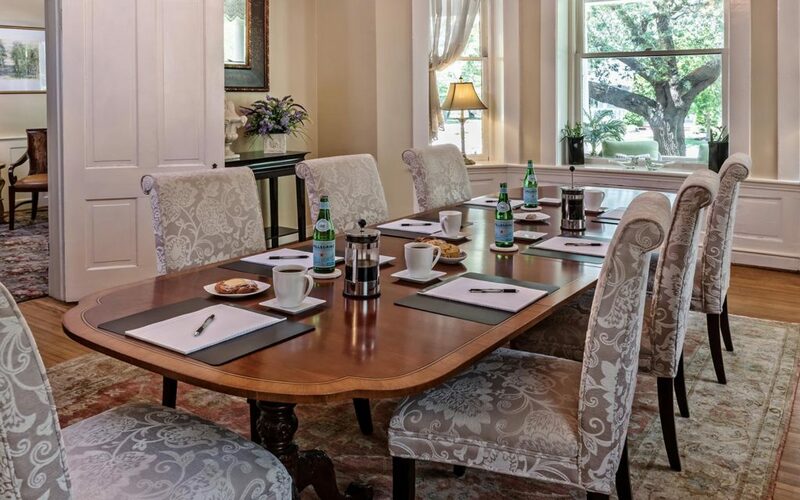 The perfect place for business travel, Edenton’s Inner Banks Inn specializes in hosting small corporate meetings and executive retreats for up to 30 persons. We are located on the Inner Banks of North Carolina; only one hour, five minutes from Norfolk, VA and Greenville NC. We are located two hours from Raleigh, NC and Williamsburg, VA and under three hours from Richmond, VA.
Copier, fax, VCR, an overhead projector, and light secretarial duties are included. There are rental charges for all other A/V equipment rentals. Rentable hours available between 7 am to 10 pm for meetings, breakfasts, luncheons, dinners or holiday parties. You are received at the front door and your guests mingle in the common areas of The Lord’s Proprietor’s rooms on the main floor where there is coffee and breakfast snacks. For smaller groups you are welcome to have your meeting in the Living or Dining Rooms, larger groups then go next door to the Satterfield House. The common areas of the Pack House and numerous porches and patio are available for break out sessions. Lunch is typically served family style either at The Table, outside on our patio or in one of the houses depending on weather. 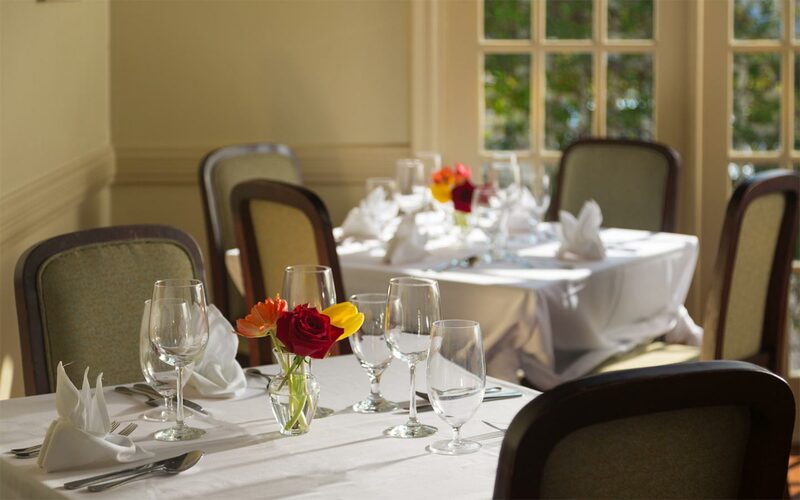 After your day of meetings, you may continue your event with a wine social and appetizers at the Pack House and living rooms on the main floor of The Lords Proprietor’s and finish with dinner at our fine dining restaurant, The Table. 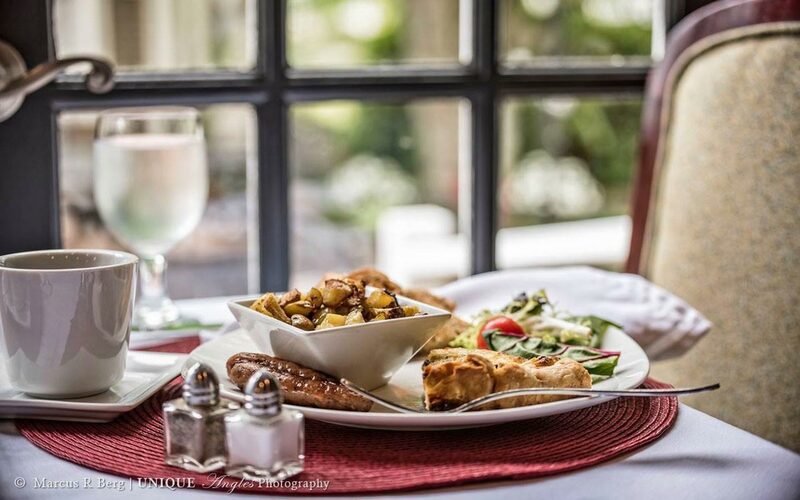 For overnight guests, a complimentary three course country breakfast is served the following morning. We are happy to serve the entire group a breakfast tailored to menu and schedule that fits your need. We can also arrange team building sessions, tours of historic landmarks and cruises of Edenton Bay to name a few. We would be honored to host your meeting, please contact us at (252) 482-3641 or complete our Request For Proposal and we will be in touch.